Start just changed: 3 a.m. on the boat, 3:30 off. Right now I am fighting a slight fever from a very cold caravan night with Aspirin, ginger tea, Vit. C and rest. Hoping to get fit again in time. Prayers welcome! 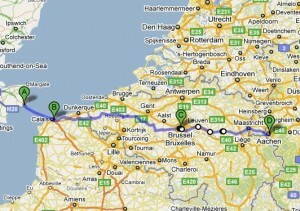 We decided the van for the biking will only leave Heidelberg IF and When I have touched French ground. Finally the weather has calmed down. Since Monday there has been one successful swim after the other. The mornings are glorious up here at the Ridge, and at night France is glittering in the distance under a star-strewn clear sky. The flags are flying again at the Ridge, after a long time of horrible weather (hoisted for every successful swimmer staying here). We are leaving Friday morning for sure. France is waiting! Mentally I am already on the bike and run. 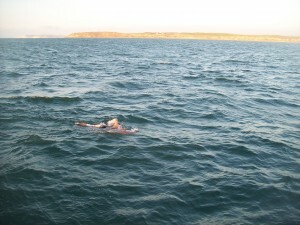 (Even if I did not make the swim I decided to continue this time, if only for training reasons.) But everythings is looking great, the water is at it’s warmest now and the sun should be out during the day. 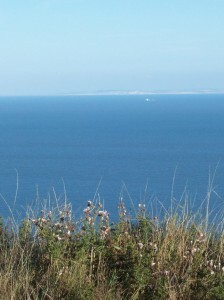 Nights are chilly, but then we will start around 4:30 a.m. Dover time, swim mainly during the day and hopefully land in the evening – and the water will feel only warmer for it. 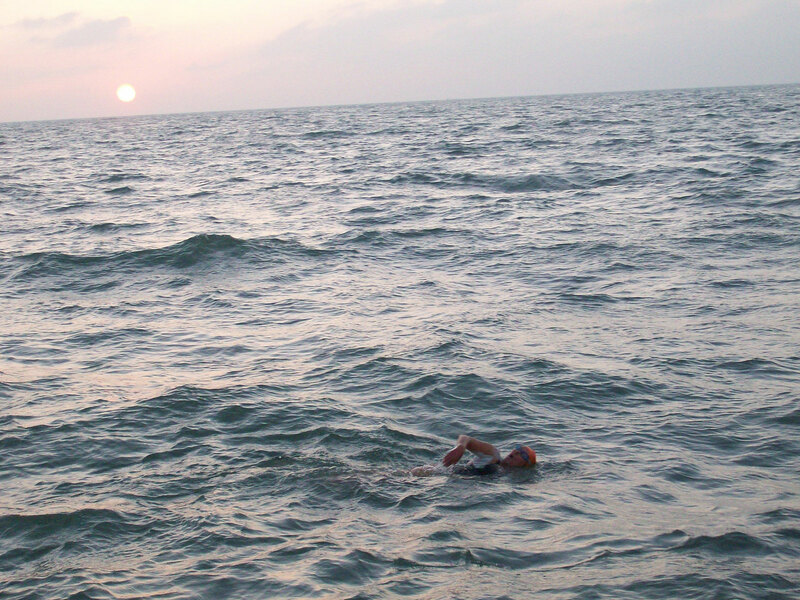 One great last minute helper has emerged – a fast Swedish swimmer who will swim in 3 weeks’ time and is eager to get some experience on the boat and may even want to join me in the water for some time (she could pace a me a bit towards the end). The helpers I had hoped for had to cancel unfortunately. So down to last minute preparations, bit of shopping, lots of rest, good food and tapering. Enjoyable simple life. But I am eager to finally get it done and then move on to something else!! !